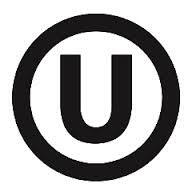 Look for the kosher symbol everywhere in Salvation Time. There is no such thing as “kosher-style” food. Kosher is not a style of cooking. Chinese food can be kosher if it is prepared in accordance with Jewish law, and there are many fine kosher Chinese restaurants in Philadelphia and New York. Traditional Ashkenazic Jewish foods like knishes, bagels, blintzes, and matzah ball soup can all be non-kosher if not prepared in accordance with Jewish law. When a restaurant calls itself “kosher-style,” it usually means that the restaurant serves these traditional Jewish foods, and it almost invariably means that the food is not actually kosher. Please visit the site and follow the links for a thorough explanation. In Step One of my book, one of the students in Mr. Bauer’s history class explains the background and meaning of kosher in response to an exam question. The teacher observes that in Salvation Time, everyone now eats kosher and wants this particular student to explain why (you’ll understand when you read it — no spoilers here!). In Step Three as they travel the world, Mr. Bauer and his class discover this to be true when they visit many restaurants and enjoy plenty of authentic ethnic food in places like Egypt, Italy, Germany, France and the US — all kosher. This is a crucial part of bringing Salvation to earth, along with improvements and innovations to vital industries like energy, food and medicine. As we get closer to publication, I welcome feedback from my readers! Posted on April 15, 2014, in Steps To Salvation and tagged energy, food, health, Israel, Judaism 101, kashrut, kosher, medicine, Shlomo Attia, Steps To Salvation. Bookmark the permalink. Leave a comment.